The price of crude oil has risen to a level at which it will transform the fuels landscape, says Lux Research, an American advisory group. In the United States, this process is accelerated by the emergence of cheap and abundant shale gas, but municipal solid waste (MSW) is going to be an alternative feedstock for gasoline production. The price disparity will accelerate the development and deployment of emerging technologies, says Lux. 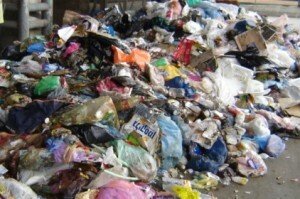 Municipal Solid Waste (MSW) is a ubiquitous feedstock. Crude oil prices are projected to top $140 per barrel by 2035. Lux expects alternative fuel technologies to produce gasoline at the equivalent of $75 per barrel. ‘Raw materials such as natural gas and waste biomass will become increasingly viable options for making liquid fuels, as new technologies tame high capital and operating costs,’ says Daniel Choi, a research associate at Lux Research and the lead author of the report titled ‘Bringing the Heat: Gas- and Waste-derived Synfuels’. But waste biomass is a ubiquitous alternative. As Lux highlights, the U.S. Department of Energy says that waste biomass could produce 50 billion gallons of ethanol, roughly 3.5 times the current production. Processing the waste is challenging, adding $3.60/bbl to the fuel price – but that is often more than offset by feedstock cost savings. Municipal solid waste (MSW) is the most important feedstock, as it is available without cost. Forest residues and agricultural residues would be better feedstock from a process point of view, but the cost of their collection has to be borne by the product. Summing up, high oil prices have opened up a window of opportunity for new feedstock and new technologies to compete on the fuels market.